Creative IT offers a comprehensive solution for your home and business Temecula Murrieta HP laptop screen repair requirements. We are a leading HP laptop repair store based in Murrieta, California offering reliable laptop screen repair and support services within quick turnaround time. We offer convenient mail-in HP laptop screen replacement services in Murrieta, Temecula and throughout Riverside County, California and throughout the United States and Canada. With full-service HP notebook screen repair, Creative IT USA provides repair and replacement solutions for all models of HP laptop and notebook computers including HP Compaq, EliteBook, Envy, HP Mini, Pavilion, ProBook, Special Edition and HP TouchSmart notebook models. Our certified and experienced technicians can fix any laptop display problem you are facing with your laptop, even component level issues such as Nvidia graphics processors and graphics chipsets overheating and failing. We have the latest BGA rework stations in-house to promptly troubleshoot and rectify various graphics chipset / graphics processing unit or GPU issues. We also offer genuine replacement for broken or cracked HP laptop screens. With a wide stock of HP laptop screens of different sizes and resolutions, we can provide the appropriate LCD or LED screen for your exact laptop model. Creative IT USA offers quick Temecula Murrieta HP laptop screen replacement services for HP Compaq, EliteBook, Envy, HP Mini, Pavilion, ProBook, Special Edition and HP TouchSmart notebook models (while you wait) to meet your urgent requirements. We offer proper warranty of 3 months on all HP notebook screen repair services we have carried out on your notebook model. Creative IT offers both local and nationwide HP notebook screen repair and replacement services. 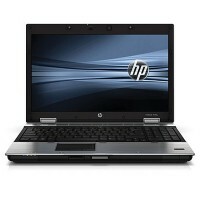 We will make an arrangement to collect your malfunctioning HP laptop through FedEx shipping service. You may also visit our repair store in Murrieta, California anytime from 9:00 am to 6.00 pm Monday through Friday. For any kind of Temecula Murrieta HP laptop screen repair and replacement requirements, please give us a call on (213) 986-4855 and have a word with one of our service technicians. You can also email your queries or concerns to us at info@creativeitusa.com.